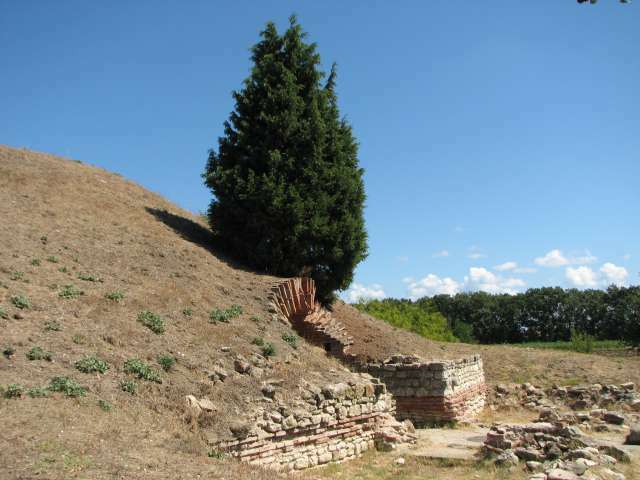 It is situated in the outskirts of the town – on the road to Burgas. 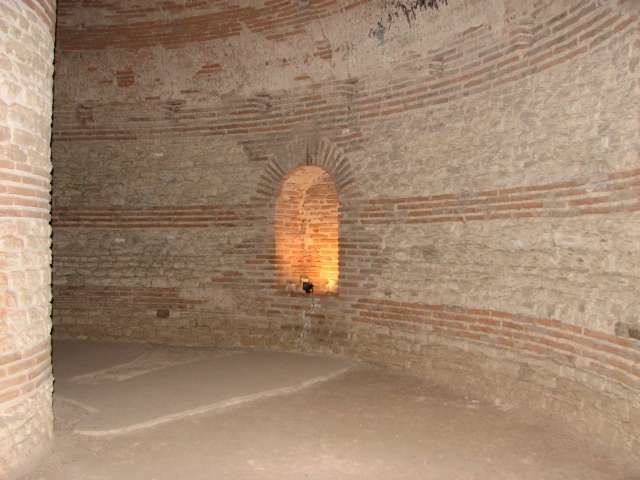 It is in the territory of the experimental orchard gardens station, under a mound dating back to the III c.
It consists of a vaulted 22-meter-long passageway, ending in a round hall, 11,60 m in diameter. In the middle of the hall, there is hollow column, widening towards the upper side like a mushroom and joining the dome at height of 5,50 m There are five niches in the wall. Daylight penetrates from the column and the corridor. It is a stone-brick work with mortar. It represents, without analogy in the world history. It is a kind of mausoleum, where the members of a distinguished family were buried, leaving to their relatives the possibility to vist and commemorate the deceased.